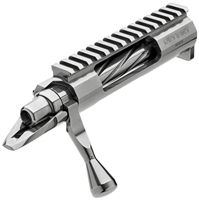 Deviant Tactical Short action, 223 bolt face. Integral 20 MOA rail and recoil lug. swept back bolt handle, Tactical bolt knob, side bolt release. 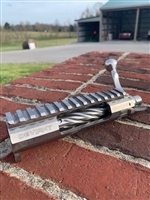 Deviant Tactical Short action, 308 bolt face, .062 firing pin. swept back bolt handle, tac bolt knob, side bolt release, small firing pin. swept back bolt handle, Tactical bolt knob, side bolt release, Defiance length port (+.400"
Copyright © 2014 Southern Precision Rifles. All Rights Reserved. Built with Volusion.